From great mountain biking (and a bike park) and hiking trails to scenic tram and tandem paragliding rides to disc golf, horseback riding, and the Grand Adventure Park, summer in Teton Village is sure to keep you busy. Stay and play at Jackson Hole Mountain Resort! What sort of activities can I enjoy at Jackson Hole Mountain Resort during the summer? The Grand Adventure Park features a handful of fun base area activities that kids and adults will love. Try the high ropes course, a bungee trampoline jump, a 60' drop tower, and a climbing wall. From beginner single track to advanced downhill trails and jumps, Jackson Hole's bike park is growing every year. Bike rentals are available at the base area and you can easily hop on the Teewinot Lift for easy access to all the trails. A guided climbing experience along the upper part of the mountain, the Via Ferrata welcomes individuals and groups to scale high alpine terrain and granite walls via suspended bridges and handholds. Hiking trails wander all over the mountain, covering fire roads and hiking specific trails. You can either start hiking from the bottom or take the tram to the top and explore from up high. Experience the best views of the valley on a paragliding ride. 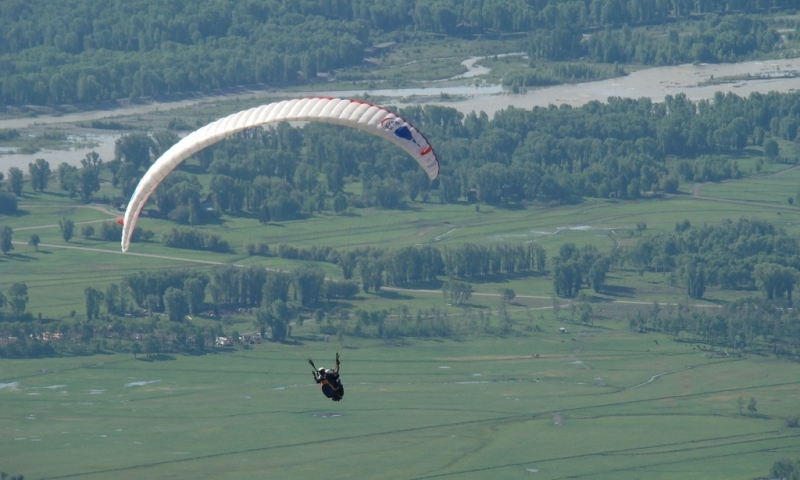 Tandem paragliding rides are available daily (weather dependent) throughout the summer. From late May to the end of September, you can ride the Tram all the way to the top of Rendezvous Mountain. If you have an afternoon free, test your skills at the 10-hole disc golf course. It's entirely free. Discs are available at JH Sports at the base. 1, 2, and 4 hour rides are available near the base of the village. During the heat of the summer, Teton Village welcomes all to enjoy free music on every Sunday evening.